Last weekend when the sun was shining I decided that the area just outside our back door could do with a little makeover. A sunny, hot day always gives me the energy and inspiration for changing the garden and this year it really needs a bit of work. Our garden is relatively low maintenance. Well it was low maintenance about 8 years ago when we did a huge makeover to create the space that we have now. Unfortunately, the weeds creep through much more than they used to and some of the plants are looking a little tired. I still love the layout though but think we’ll give it a lift this summer. If Summer ever arrives! So back to my mini makeover at the back door. Currently it is looking a little unloved with a pot of old mint and very little else. 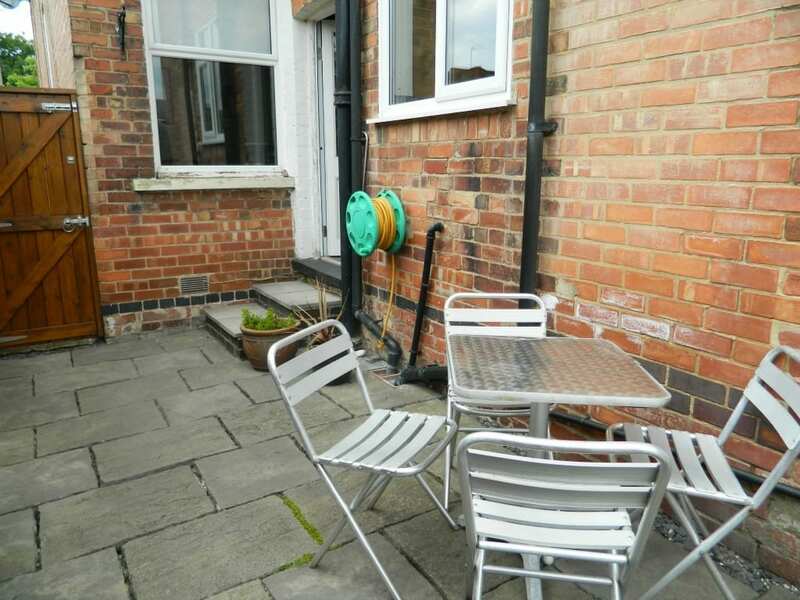 We replaced the fence last year so that’s looking lovely, if a little dull and the paintwork is needing some attention around the backdoor and on the windowsill. It’s not a big job it just feels like something else to add to the list of things to do. 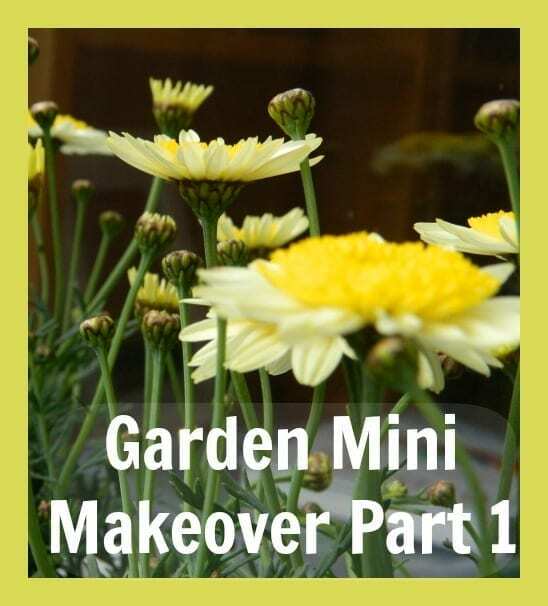 The plan is to create a bright, colourful seating area with a mini herb garden outside the back door and to screen it off from the rest of the garden with potted plants somehow. I’d like to think that it will be a cosy corner, which catches the sun, in which to rest and relax. I’ve been inspired by the Ikea website and although budget and space won’t let me recreate this exactly I hope to get somewhere near it. We won’t need the gazebo but I love the bright colours mainly and solar lighting and can see how this might work in our small back door space. And so it was on to the work. 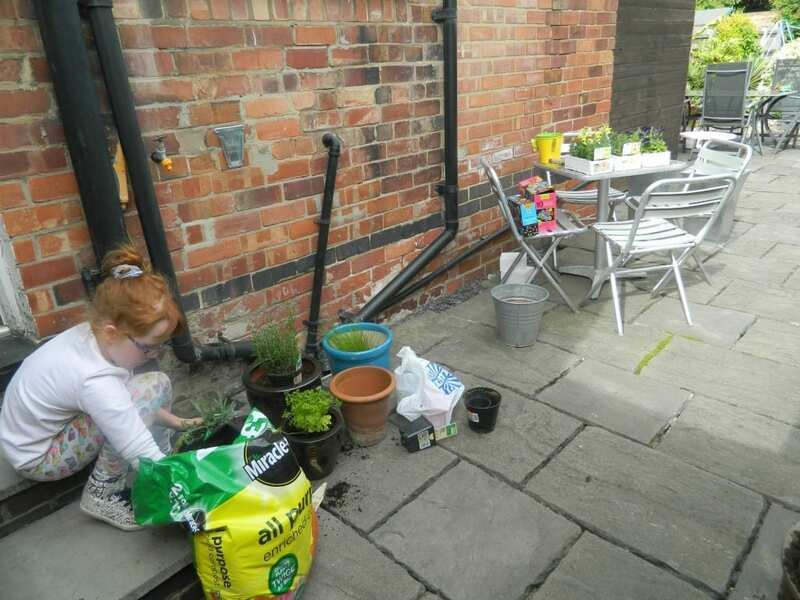 We cleared the area and then with help from my little people we set off for the garden centre to restock on herbs, new pots and fun colourful accessories which would create the space I’m hoping for. We are lucky in that we have DIY stores and garden centres in abundance not more than 20 minutes from where we live. I love spending time browsing a garden centre range, looking for inspiration and ideas. And often advice too! 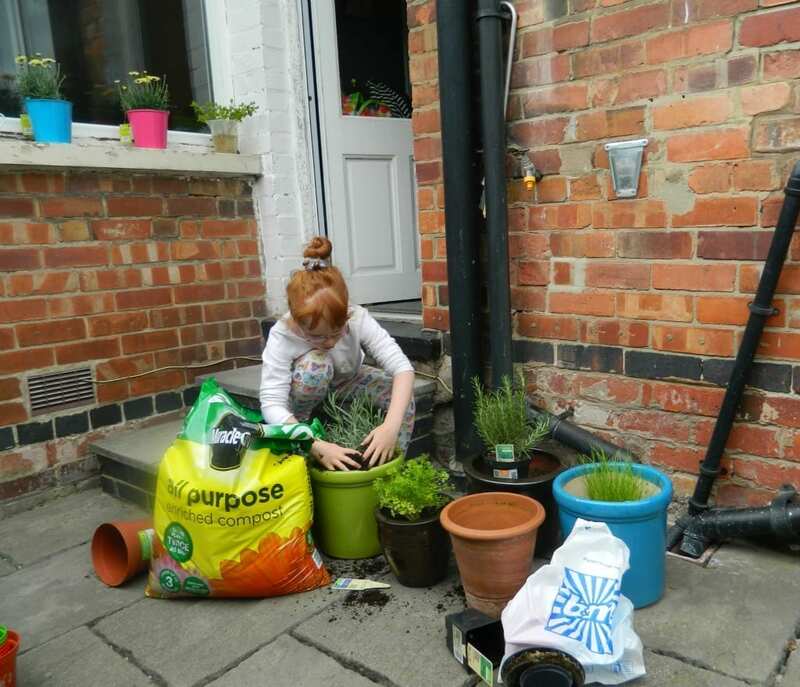 We managed to find a lovely selection of herbs and a few new pots, plus some fabulous brightly coloured solar lighting, small bright mini buckets and some very cute lanterns. The budget won’t run to new seating just yet but I’m working on that for next month! Whilst the sun was still shining we found ourselves hard at work potting and planting before the rain started. I know it seems like Miss E is doing all the work and I’m hanging around taking photos but it didn’t take long before she was tired and she left me to it. I love that the girls are keen on gardening though. They are raising money for Lepra currently and we’re sponsoring them to help in the garden, which they are really happy with. But of course, it wasn’t long before the weather turned and the rain started to fall so unfortunately the makeover isn’t yet complete. You can see some of the bright little buckets on the windowsill in the image above and we did manage to get all the herbs planted which look and smell beautiful. For a variety of texture, colour and scent we went for parsley, chives, mint, rosemary, and I threw a lavender plant in there too. 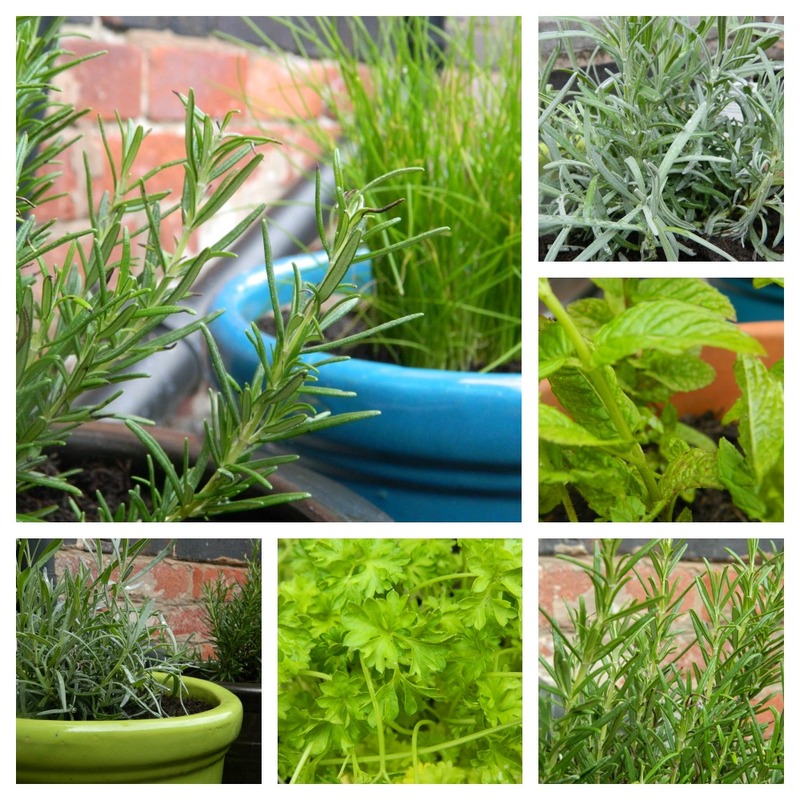 Come back again, hopefully next week if the rain holds off, to see how the transformation is coming along but for now I’ll leave you with some pictures of the herbs. Thanks Becky, if only the weather would improve so I could finish it! This is the exact bit of our Victorian garden that we need to work on too Jen, it is currently a dumping ground for bikes and washing, but it has the best stretch of plants on one side. I love your bright pots around the door and on the window sills! If yours is the same as mine we also find our wheelie bins dumped here a lot too! I just want it to look at bit prettier as it’s the first bit of garden you see when you open the back door. Here’s hoping! Looks pretty nice to start with, I think Jen! But I can see it will be even more lovely when you are finished. It’s so nice to be get outside in the fresh air when we get the odd chance! Herb outside the kitchen door are perfect, much more likely to get used and smell lovely. 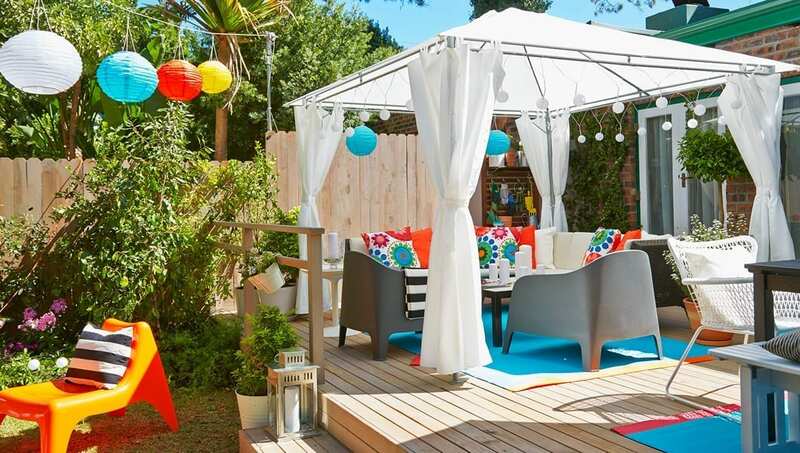 I love the IKEA decked idea and I do need a gazebo as our back garden is a sun trap – which is nice for me but always a a worry for the children! Great when they get involved in helping in the garden – even more likely to appreciate and help look after what has been planted too!